The King James Bible was the first authorized version of the Bible Published in English in 1611 in England. 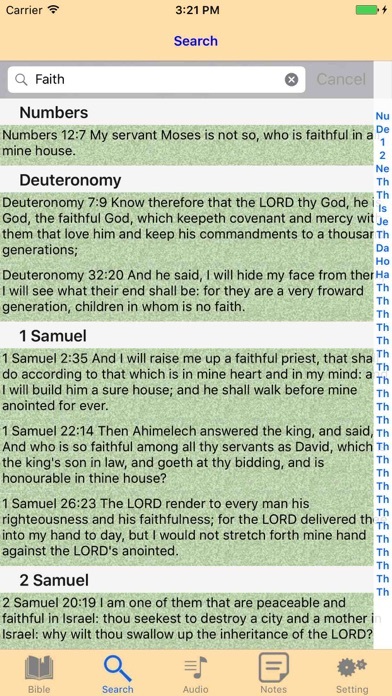 Many Biblical scholars and experts believe that the King James Bible is still the best and most accurate translation, of the many versions now on the market. From 1611 until the mid 1900’s the King James Bible was the only major English Bible translation used in all the Churches. Since then there have been numerous other English versions written, copyrighted and published by various companies and translators. 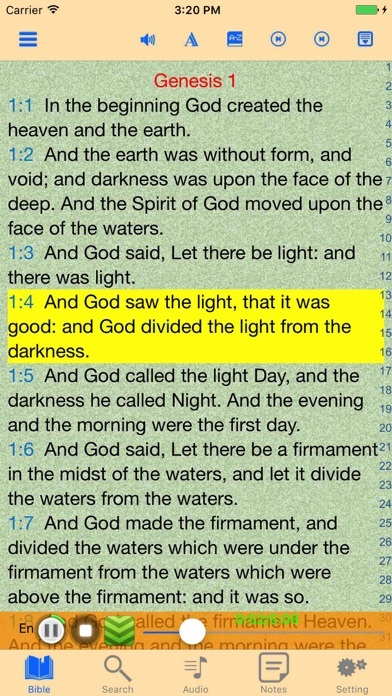 I’ve had the free version of KJV Audio Bible. I didn’t have continuous playing, so I purchased the KJV Audio Bible. I understood that it would cancel adds and give me continuous play. Instead, at the end of each chapter it tells me now, it is out of time. Maybe I’m doing something wrong. I see no other options. I could not recommend an app more highly!!! As we know that Romans 10:17 states “So then faith comets by hearing, and hearing by the word of God”. 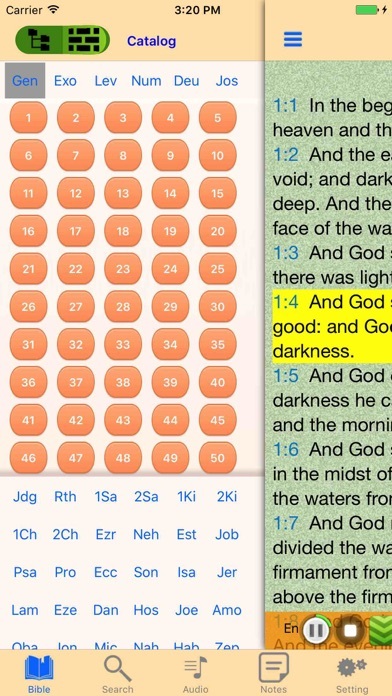 As a result of using this app I’ve been enabled to read and hear God’s word monthly. It has been a tremendous blessing for, as we know that when we feed the spirit more than the flesh our LORD has a better ambassador to win souls and be glorified as His child. Thank you so much for the difference this has made in my life. God bless. Was not reading all of the pages. Would stop halfway through. It was fine until I came to 1 Corinthians 10: in the last part of that chapter and the next, it quit and I couldn’t get it to read further. Other than this reading problem it’s great. Please fix. The audio cuts out in some of Paul’s letters. Also, it must be downloaded book by book for offline listening. Aside from that, the recording is phenomenal. Alexander Scourby recorded the best reading of the Bible I’ve heard. Very realistic dramatization that isn’t over the top. Really makes me want to keep in God’s word. Well worth the unlock fee. This is a great app, I have used this app more than any other bible app. Highly recommend! The quality of the audio is not good, you can hear people in the background. 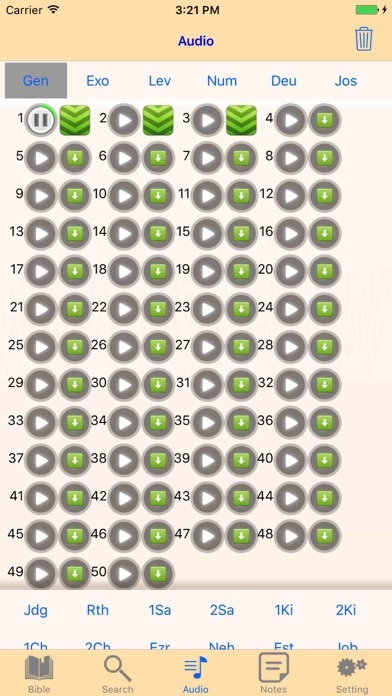 There are a lot of ads. They ask you for $5.99 just to listen as free. The quality isn’t good so why would I pay. Also there are plenty of free bible apps for free with audio that you don’t have ads and you don’t have to pay and it is better quality. It's the KJV bible! It has audio and you don't need internet so I can listen to it on the way to and from school on the bus! As a bonus it includes a dictionary that you can look at, still you don't need internet!! It's great! Guys 5 star for sure!! 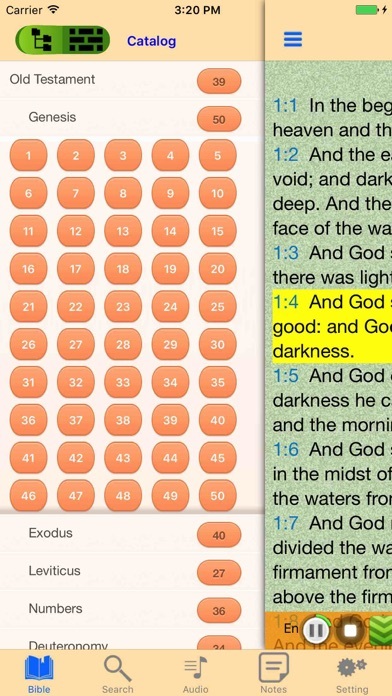 Because I wanted an audio Bible for walking, this version was unhelpful because does not auto play the next chapter. It also asked for $5.99 payment once in the app.